Last week, to commemorate the beginning of NAIDOC Week, I devoted Monday Musings to Anita Heiss’s series of interviews with indigenous Australian writers, In conversation with BlackWords. I said then that this week’s post would also draw from the series – and so here it is. What book do you think every Australian should read? The answers are fascinating. Most, as you would expect, recommend books that would help all Australians learn and understand more about indigenous culture and history, and the books they recommend are mostly by indigenous Australians. But, the interesting thing is that there’s a lot less duplication than I expected. I like this. It suggests the existence of an active indigenous literary culture. No simple, easily defined cannon here! It provides a great list for us all to go to – both now, and when we are planning for ANZLitLovers’ 2015 Indigenous Literature Week. Anyhow, I thought, when I decided to do this post, that I could tally up the recommendations and list them in popularity order. But, given what I actually found, I have decided instead to simply list them in alphabetical order by author/editor, with the name of the recommender/s and comments where appropriate. Chi, Jimmy: Bran Nue Dae (script). Kim Scott. Eckermann, Ali Cobby and Fogarty, Lionel (eds): Southerly, Vol 71, No. 2, 2011, “A Handful of Sand: Words to the Frontline”. Lorraine McGee-Sippel described this as “An invaluable resource of Australia’s First Nations writers … Across all genres, ages and life experiences”. She believes is should be “compulsory reading … in all high schools and universities”. Eckermann, Ali Cobby: Ruby Moonlight. Bruce Pascoe. Gammage, Bill*: The biggest estate on earth. Kim Scott simply said “an important book”. Gilbert, Kevin: Because a white man’ll never do it. Kerry Reed-Gilbert, his daughter. Haebich, Anna*: For Their Own Good. Kim Scott said that it “focuses on south-west Western Australia, but the power relationship it articulates applies across the continent”. Heiss, Anita: any book. Lionel Fogarty gave Heiss as an example in recommending “Indigenous-authored books such as those by Anita Heiss. Heiss, Anita and Minter, Peter (eds): The Macquarie PEN Anthology of Aboriginal Literature. Kerry Reed-Gilbert. Leane, Jeanine: Purple threads. Melissa Lucashenko (my review). McMullen, Jeff*: any writing. Samuel Wagan Watson. Maynard, John: Fight for liberty and freedom. Recommended by himself. Munkara, Marie: Every secret thing. Bruce Pascoe (my review). 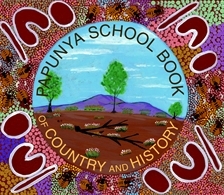 Papunya School with Nadia Wheatley and Ken Searle: The Papunya School Book of Country and History. Anita Heiss likes this because it is “accessible to all”. Pascoe, Bruce: works by him. Recommended by himself. Pascoe, Bruce: Earth. Melissa Lucashenko. Pilger, John*: A secret country. Kate Howarth. Reynolds, Henry*: any book. Kerry Reed-Gilbert argued that “it’s time for people to know the truth of this country”; Samuel Wagan Watson. Reynolds, Henry*: This whispering in our hearts. Jackie Huggins. Scott, Kim: Benang: From the heart. Bruce Pascoe. Scott, Kim: That deadman dance. Kerry Reed-Gilbert; Bruce Pascoe (my review). Scott, Kim: True country. Melissa Lucashenko. Thiele, Colin*: Labourers in the vineyard. Bruce Pascoe. Weller, Archie: stories by him. Bruce Pascoe. Willmot, Eric: Pemulwuy: The rainbow warrior. Dub Leffler. Wright, Alexis: Carpentaria. Bruce Pascoe (my review). Wright, Judith*: stories and poems by her. Bruce Pascoe. Kim Scott also recommended that people read an anthology of writing from the region in which they live, such as Those Who Remain Will Always Remember: an Anthology of Aboriginal Writing, edited by Rosemary van den Berg, Anne Brewster and Angeline O’Neill. Every Australian?’ Hmmm … It’s hard to say, and I know mature Australians who have admitted to having never finished reading a book because literature bores them. I can’t answer that question? I’ve never watched a cricket match in my 41 years either … So I must seem weird to people who don’t pick up a book. If I was on a ‘soapbox’, I’d say any writing by Uncle Henry Reynolds or Uncle Jeff McMullen. But some people can be turned off literature – altogether – by books that are too confronting. And that’s the delicate balance that needs to be dealt by a writer when you’re thinking about audiences. I do believe some writers have no idea that they are either not engaging with an audience or they don’t care? As a writer, on the journey of composing your work or novel or music, you need to consider your audience at every turning point. If you don’t think about the needs of your reader, you are simply writing in a very tight vacuum. Another respondent who didn’t seem keen to name specific titles or authors was Samantha Faulkner. Any book by an Aboriginal and/or Torres Strait Islander writer. Reading a book by a First Nations Australian writer will identify similarities that connect us, and bring us together, rather than divide us. After all, we live on this beautiful country together. WG: thank you for this fascinating look at one small part of Anita’s book – a lot of writers of Indigenous background and more titles to follow up. Now reading Tara Winch: Swallow the Air – lyrical/poetic – moving – of course. Thanks for the introduction! BTW, Jim, this is not a book by Anita but part of the BlackWords website, managed by AustLit. Well thanks to you for the list! And I now have two samples in my Kindle, Purple Threads by Jeanine Leane and That Deadmen Dance by Kim Scott. I hope I can get to them soon. Oh, excellent choices, Bekah. I should have mentioned Purple threads in my post on Swallow the air because it’s another that in which stories underpin the narrative thread. Oh good Bekah. I hope you like the Scott. Some non-Aussies find it hard going but you’ve read a lot of Aussie lit so will hopefully not find that. As a non-Australian the post and the list isn’t aimed at me – but I still found it interesting to read so hope you don’t mind an interloper!!! It made me wonder what a similar list might consist of for my home country of Scotland. And while it’s the only book on the list I’ve read I have to say I thought True History of Kelly Gang was a fabulous book! If the others are as good as that the list must be impressive! Oh thanks Col … The list is for everyone who might be interested really, though of course it has most relevance to Aussies. I haven’t read all on the list but from those I have … And I have read True history but before I was blogging … I think there are some great recommendations here. Yes, John, I loved that use of Uncle too. Shows a great deal of respect. I thought Faulkner’s assertion was echoed by, or echoes, one of the quotes I included from Tara June Winch’s book I’ve just reviewed ie that the last belongs to us all). Now all we need do us care for it respectfully! Wow, some of these are already on my TBR or my wishlist, but some I’d never heard of. I was very pleased to see those books by Henry Reynolds there, because – as Watson says about audience – I trace my ‘awakening’ to reading This Whispering in Our Hearts. Yes, me too Lisa … It’s great to hear what indigenous writers recommend. Yes, me too … But good for them I suppose … And Pascoe did recommend quite a few others too!